A huge senseless cathedral of doom. Kofi Awoonor (13 March 1935 – 21 September 2013) was a Ghanaian poet and author whose work combined the poetic traditions of his native Ewe people and contemporary and religious symbolism to depict Africa during decolonization. He started writing under the name George Awoonor-Williams, and was also published as Kofi Nyidevu Awoonor. He taught African literature at the University of Ghana. from me: I will not keep the truth from my song. from entering the gourd of my bow-harp. I will not bend my verses into the bow of a praise song. in the center of my crude lines of accusations. I will undress our raped land and expose her wounds. nooks where our people are pounded to pulp. through my volatile verbs that burn the lies. ceiling in the dark sky of my land and light the dirt. Today, my poetry has exacted a confession from me. No, we don’t whisper here. -Segun Akinlolu, Can’t You See? As the child of academics growing up in Nigeria, I was introduced to books at a young age. My first book was a paper-thin story about a corn princess and ants. As I grew older I read more books, mostly European and American; Judy Blume’s novels, The Babysitters Club, Enid Blyton’s mysteries, stories in which curly-haired little girls yelped ‘Golly!’ and sucked on lollies in the summer (in Nigeria, we had Fan-Ice. I testify it was just as good). However, the stories I remember most were those set in other parts of Africa. Books such as The Boy Slave by Kola Onadipe, An African Night’s Entertainment by Cyprain Ekwensi,Without a Silver Spoon by Eddie Iroh, and many other books within the African Readers Series. They taught me about other aspects of different Nigerian ethnicities and the African world at my doorstep, stories from Kenya, Cotonou, Sierra Leone, etc., full of house boys who retained their integrity in the face of poverty, slaves who became kings, queens who defended their kingdoms in lieu of kings, greedy waziris’ whose greed led to their downfall, cryptic stories about the crafty tortoise, and so on. These were the stories in which I encountered my first notions of Africa. Literature is how we document our lives, fictionalized stories often reveal truths and subjective experiences that other sources cannot. Learning about the Rwandan genocide in school was so much different than reading Murambi, The Book of Bones by Boubacar Boris Diop, which gave me an inside look at the genocide, the forces at work that caused it, the fears and that characterized that period. At the start of Europe’s ‘civilizing’ mission in Africa (read: colonization, slavery, mass violence, and theft of culture), great steps were taken to erase any ideas of Africans as a people with history or methods of conveying that history (see: Heart of Darkness by Joseph Conrad). Today, the world knows more about Africa, we know about her peoples, we know her history before colonization and slavery. At the same time, Africa is still constantly presented as a victim; the lovable yet inevitably doomed junior brother of the world. A classmate once suggested that while she knew South Africa was a well developed country, the other African tribes were still struggling, (Nigerians riding Bugattis in Abuja beg to differ). The thread of discourse that has coded Africa in a specific light of backwardness and victimization still exists today. African writers therefore have an important job to do. They bear the burden (as do all Africans) of reintroducing Africa to the world, through our literature and arts. We need to tell our own stories, to show the world our experiences of what it means to be African, and overcome tales of victimization and backwardness the world consistently hands us. More importantly, Africans need to start discovering other Africans through our literature. The average Nigerian knows less about Ghana than he does about London, and we are only two countries apart! Imagine the discourse that could come out of Africans actively engaging with Africans. Discovering what it means to be a certain kind of African, what it means to be an Egyptian, an Edo girl from Nigeria, a Tunisian elder, realizing our shared struggles and goals which too often are the same soul masked in different clothes. 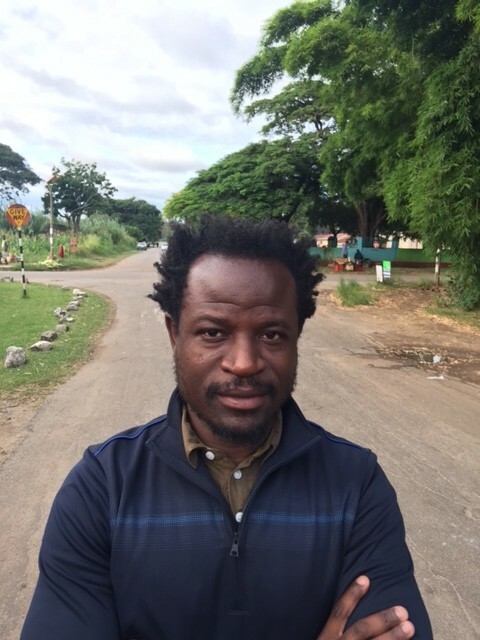 Imagine having great African literature that is notable, not because it has been deemed appropriate or illustrious by European editors or American critics, but because other Africans have engaged with it, argued about it, and ultimately decided that it in some way captures an experience that resonates with them all. To Africans and everyone else reading, this is the takeaway: it’s important to present Africa, not as the slighted and reduced victim of the world, but as the complex, impossibly diverse, confusing, exciting and altogether human world we grew up in. But it’s more important to discover life outside of our respective countries within our shared continent, to truly be Africans in discourse with other Africans through their literature. We can’t all pen masterful novels, we probably will not write the next Things Fall Apart, but we can all read. There is a dearth of African literature on bookshelves both in Africa and elsewhere, but that cannot stop us from engaging with what is available. Read Africa. Find anthologies on African literature, read those excerpts then find full novels from the excerpts that caught your interest. Read them, read more by the same authors, then read others. One story often will lead to another. Find and read Chimamanda Adichie’s stories,Maps by Nuruddin Farah, Chris Abani’s Grace Land, Ben Okri’s work, Nardine Gradner’s novels, The Persistence of Memory by Tony Eprile, Frank Chipasula’s poems, etc. Read and read and read. Dive into the experiences of other Africans, then add your voice to that discourse, talk about the books you’ve read with other people, ask questions about the countries you’re reading. Engage with Africa in a way different from those dictated by BBC and CNN. Make Africa, the whole continent, your Africa. Originally published on Africa is Done Suffering. & the almonds of spring. It always opens onto expansive skies. your fuel to burn aesthetics & free will. your flour to bake new bread of fear. Ali Znaidi lives in Redeyef, Tunisia where he teaches English. His work has appeared in Mad Swirl, Stride Magazine, Red Fez, BlazeVox,Otoliths, streetcake, and elsewhere. 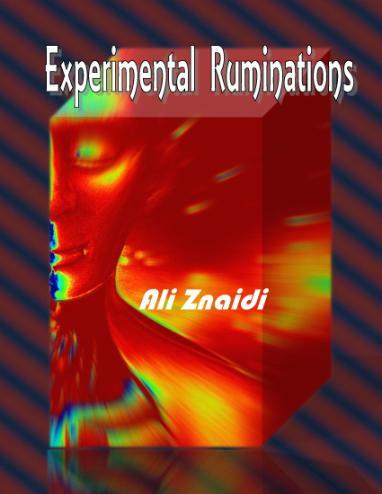 His debut poetry chapbook Experimental Ruminations was published in September 2012 by Fowlpox Press (Canada). He reviews Tunisian literature at http://tunisianlit.wordpress.com and blogs at aliznaidi.blogspot.com. To learn how to have a child’s heart. the spring of health is open to all. who approaches with long, loping strides. A copper dagger pierces his navel. a hero dies like alone, like a wounded lion. and the ink in our pens has run dry. will be called a hero of deceit. the first generation we behold. Na kalamu zetu zimekauka wino. Euphrase Kezilahabi is a Tanzanian poet, novelist, and scholar, and is the most widely acknowledged contemporary Swahili author. He was one of the first African writers to publish a collection of free verse poetry in Swahili, his first collection, Kichomi (Twinge) was published in 1974 and led the movement for free verse Swahili poetry. Other collections include Karibu ndani (Welcome Inside, 1988) and Dhifa (Feast, 2008).